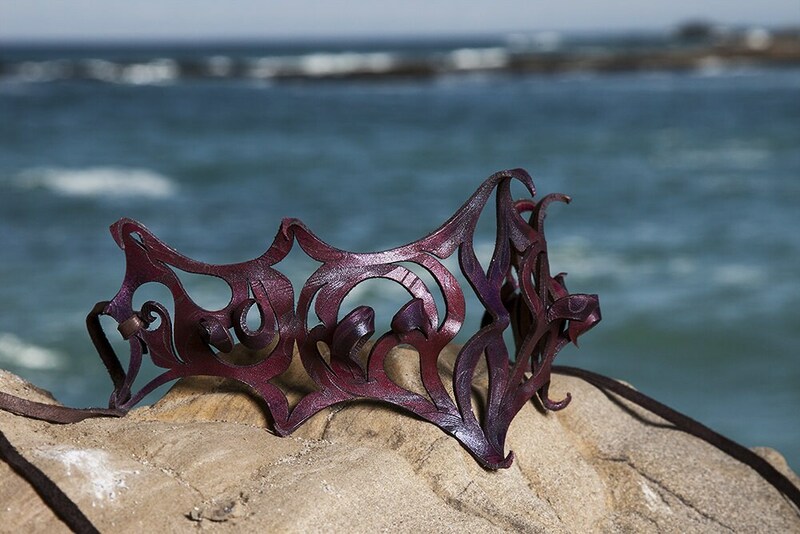 Leather Crown, CUSTOM MADE TO ORDER just for you! A Feathery Leathery 2011 original is back! 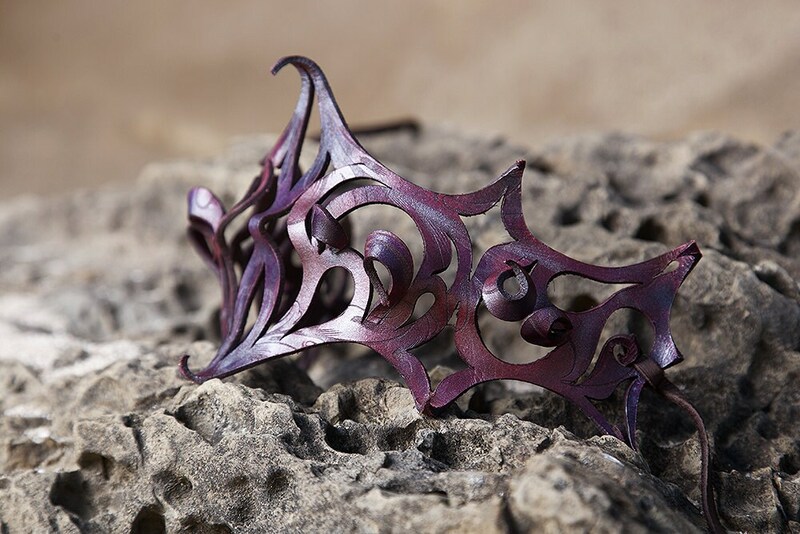 Reintroducing the Crown of Elegance! 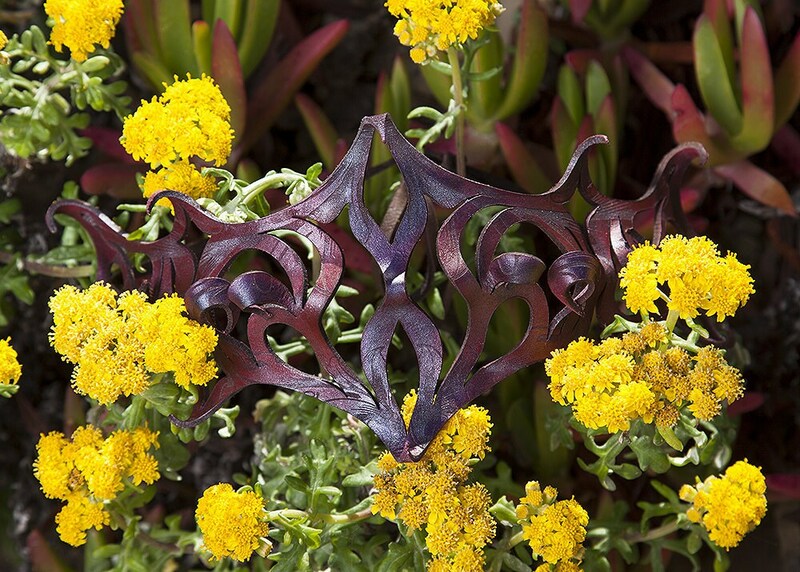 Intricate and unique, this Leather Filigree Crown can be worn for many occasions. Lightweight and easy to wear made out of 4-5oz vegetable tanned hide leather, hand sculpted and painted. Beautifully painted with shimmering paints in the color/s of your choice. Ties in the back with a soft, strong leather cord or with velvet lacing, you choose. One size fits all! •What color/s do you want? I airbrush the crowns and can do multi-colored, altho I prefer to blend no more than 3 colors if you are choosing more than 1 color. The only exception to this is the Rainbow Crown. 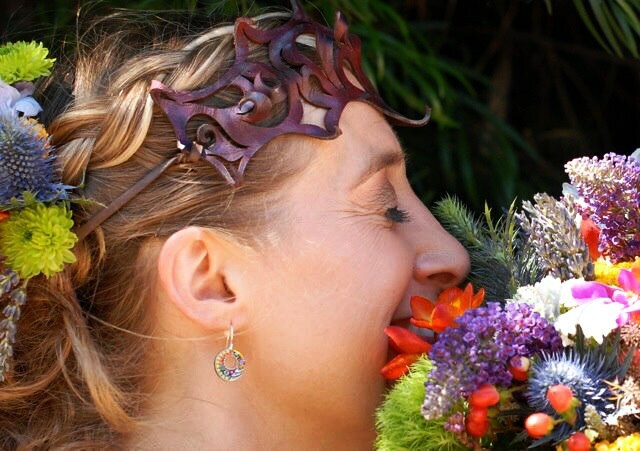 •Whether you would like a Plain Crown (where the leather is *not* engraved with our art) or an Art Engraved Crown? 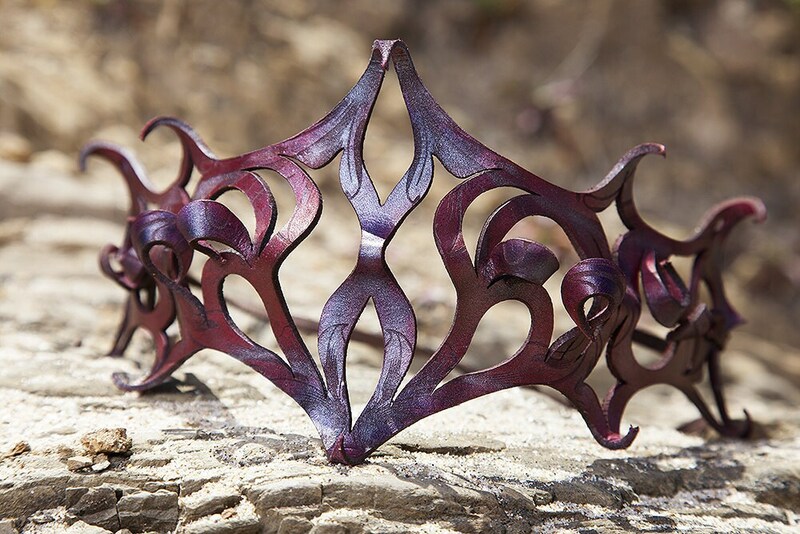 If you choose the Art Engraved crown please let us know what theme you are envisioning, examples are floral/nature patterns, tree branches/roots, sacred geometry patterns, celtic patterns, spirals, mandalas...what's your vision? We can show you samples of what we have available and you can choose from our very large library of original art.